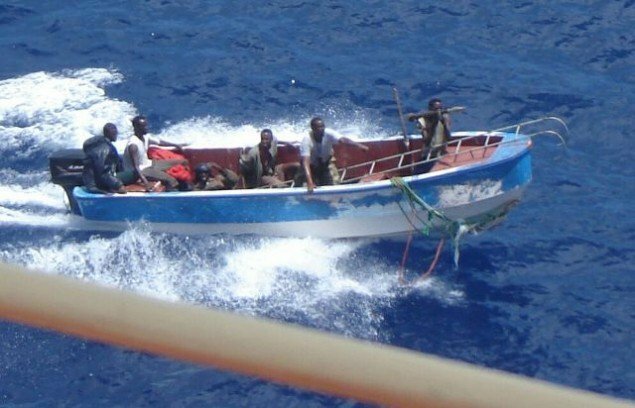 A Mumbai court yesterday sentenced 15 Somalis to seven years’ imprisonment for piracy acts carried out in the Indian-governed part of the Arabian Sea. The court also issued the pirates with a fine, which – if unpaid – will earn them an additional sentence. In four separate cases, as many as 120 pirates were arrested between January and March 2011 – two of whom died during the trial. The 15 who were convicted yesterday were arrested in January that year. They were found guilty of attacking the containership CMA CGM Verdi . Having already been behind bars for the past six years, the convicts will likely serve one more year in jail and then be deported to Somalia.